Buying several sets of batteries can be an expensive proposition, especially for retired residents of this town. So over the years, residents like the Oxleys and Wales have looked for batteries with features that improve capacity and longevity. “We use U.S. Battery RE-series solar deep-cycle batteries,” says Oxley. “We are completely satisfied these batteries and have used them for the past 20 plus years.” Other residents live in the town only during the winter months, but it can still put additional strain on their battery system. “We use the solar system heavily seven months a year," says Wales. "Our 16 U.S. Battery 2200 system has provided us dependable power since 2007. With the first set lasting five years, we feel the performance of our U.S. Battery products have been wonderful." While power and dependability is important to homes off the grid, batteries often stay sitting still for long periods of time. This often causes short circuits in deep-cycle batteries and is another reason why a majority of the residents like using the U.S. Battery products. According to Wallace, the U.S. Battery’s RE-Series deep-cycle batteries include the company’s Defender™ moss shields that effectively prevent short circuiting. In addition, the company added an Outside Positive (OSP™) battery design that mitigates positive plate deterioration and further increases the life of the battery. While the Bulls Only Fishing Tournament is a great way to promote the town to the world, allowing people to see its stunning views and small town hospitality, it's also an eye opener for people to see and experience cleaner energy use, and how easy it can be to adapt it into a normal lifestyle. "The tournament is also a great way for the town to thrive, and for promoting the luxury hotels and spas that are available to anyone visiting," Oxley adds. “Proceeds from the fishing tournament not only help support several charities, but also maintain a fund for our infrastructure that includes a 20 kilometer dirt road and emergency services. "Proceeds have also funded projects in the nearby town of Palo Verde, with improvements and supplies for the elementary school, as well as donations to the PAWS Clinic in the town of Mulege for help in spaying and neutering animals,” says Wales. With the U.S. Battery deep-cycle batteries that power this small and hospitable community, it proves one can live a “greener” lifestyle off-grid, without giving up the everyday luxuries of ordinary life. "With the improvements in solar battery technology, it is definitely getting easier to live a completely solar power lifestyle with minimal maintenance," says Wallace. Punta Chivato has made it obvious that they are not only a great destination for anyone looking to get away, but that living solar can be a viable solution to much of our energy needs. Since 1928, U.S. 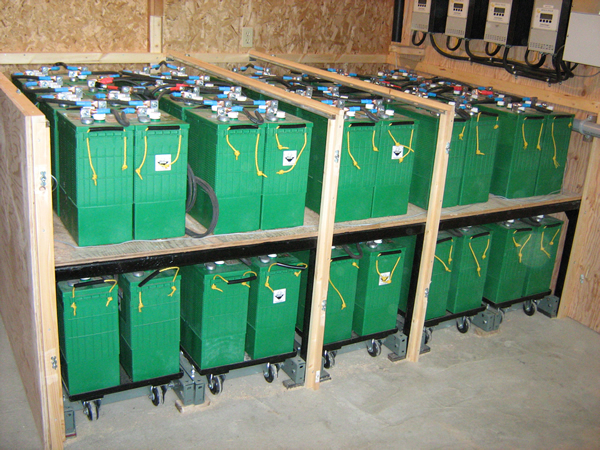 Battery has been the industry leader in manufacturing deep cycle batteries for a variety of applications. Our American, hand-made batteries are designed to have the highest rated capacity, and reach peak capacity in fewer cycles than any other battery on the market. More industries, businesses, and homes that depend on Solar energy and energy storage, have switched to U.S. Battery because they offer exclusive features that provide long lasting dependability. Why it is the most successful reclamation system on the planet.